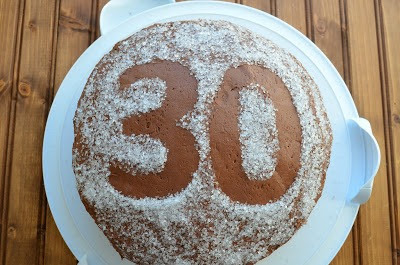 For the 30th anniversary cake I made my parents, I wanted to do something special on the outside to make up for not making the cake from scratch. 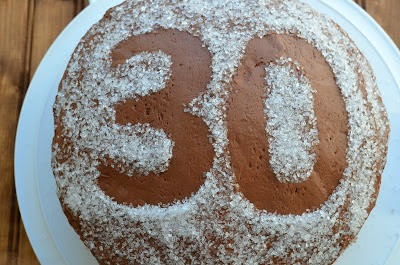 I wanted to make a cool "30" design on the top, so with the help of a printout, parchment paper and some sprinkles, I was able to achieve the design I wanted. 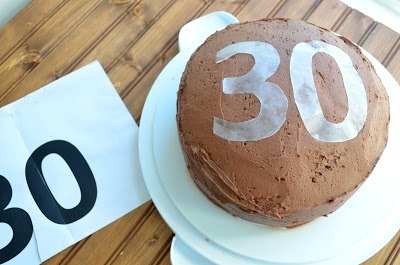 Below are directions on how to decorate a pretty sprinkles number cake on your own! 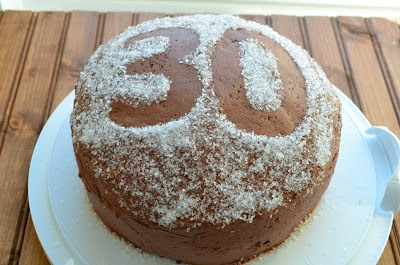 Step 1: Print out the number you want so that it is large enough to cover most of the cake. 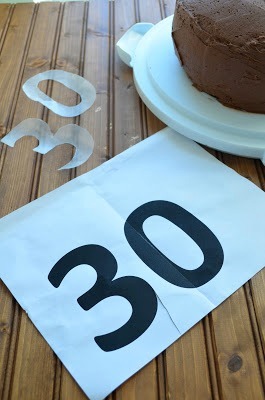 Place a piece of parchment paper over top of the number and trace. Cut out the numbers. 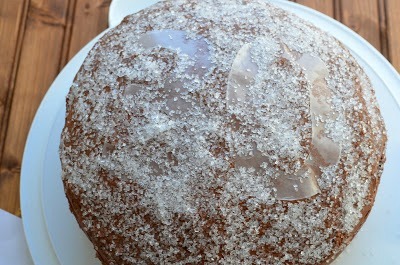 Step 2: Place the parchment paper numbers on top of the iced cake. Make sure you press the numbers down so no sprinkles can sneak underneath. Step 3. Cover the entire top of the cake with sprinkles. Lightly press them down so they stick. Step 4: Carefully remove the parchment paper numbers from the top of the cake. And you're left with an awesome number design. Enjoy!